The morning started rather pleasant as far as the temperature – mid 70’s. This did not last long and soon it was high 80’s with the mid 90’s to come. 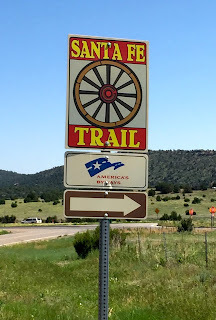 The pre-1937 alignment of Route 66 followed the Santa Fe Trail, a pretty old route that started in the 1820’s in Franklin, Missouri and ended in Santa Fe. 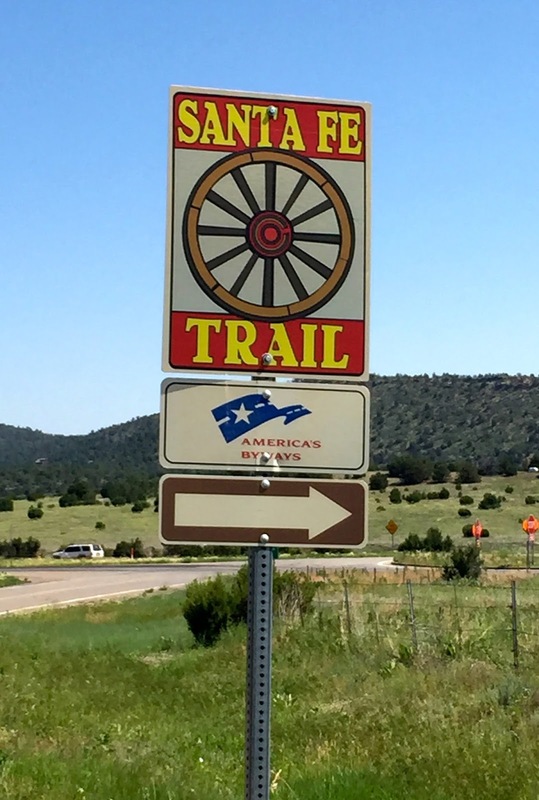 The Santa Fe Trail served as a vital commercial highway until the introduction of the railroad to Santa Fe in 1880. After 1937 Route 66 was realigned to run through Albuquerque. Other than the history attached to the route, it is boring at best. Long, straight and today seriously hot. We connected with I40 after a couple of hours – more long straight and boring – and oh yes hot. Santa Rosa, NM has a small, but interesting Auto Museum and we stopped in for a visit. The museum houses about 30 cars, mostly hot rods and mid 60’s Mussel Cars – opps, make that Muscle Cars. Some of the cars are for sale, but most are not. From Santa Rosa, it is a one-hour ride to Tucumcari and another iconic motel – the Blue Swallow Motel. I had stayed at the Blue Swallow five years ago. There are new owners now – Kevin and Nancy – and they are doing a splendid job of preserving the old tradition of 1930’s motels. They also have a rule that is very significant – in wine in plastic cups. They will supply you with proper wine glasses if you do not have your own. Dinner was at the Pow Wow Restaurant & Lizard Lounge – a fantastic Mexican Restaurant – plus they run a shuttle service from the motels.The booths all have murals that look like someone is already sitting in the booth. The people in the murals are all local people and are very life like. It's very strange to share a booth with people you don't know. The plan is to get an earlier start tomorrow and try to beat some of the heat.